If you’re planning on taking the IELTS, chances are you’re a little nervous about the vocabulary. Don’t stress! Many students struggle with the IELTS vocabulary, and our experts are here to help. 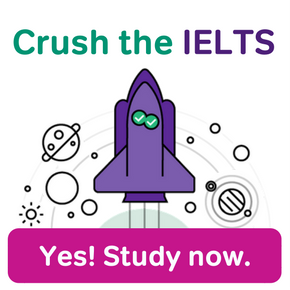 The big questions is: What vocabulary words will be on the IELTS? Well, when it comes to vocabulary, the IELTS isn’t one test. It’s really four tests. Each section of the IELTS — Listening, Reading, Writing, and Speaking — has its own unique mix of vocabulary. However, there are some vocabulary words that appear across every section of the exam. That’s a good place to start! What Will I See in the IELTS Vocabulary 1 Video? 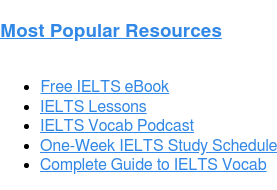 This free 8-minute video covers a list of words that you will encounter on the Reading, Writing, Speaking, and Listening sections of the IELTS. In the video, our IELTS expert Elliot will give you a brief introduction, followed by detailed explanations of five common vocabulary words. These words come from a longer IELTS word list that we put together to help students prepare for the vocabulary on the IELTS exam. Hi, I’m Eliot, the IELTS expert from Magoosh. And today, we’re going to look at vocabulary. In particular, we’re going to look at five words that are taken from a longer list of words that we’ve put together for you as a resource for studying vocabulary for the IELTS exam. 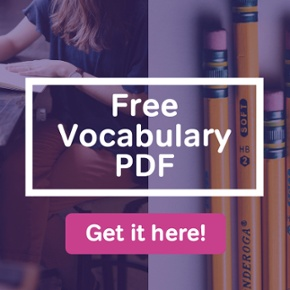 You can get this free resource by clicking in the description box below, or going to the link that you see on the screen there. And that’s going to take you to an IELTS vocabulary list that, again, is really helpful, in particular, for the reading section and the writing section. These words are ones that are going to help you to interpret the kind of language you’re going to see in the reading passages. But then, these are words are really gonna be useful for you as you’re writing responses to your task one and task two questions. So, go to the link there and get the full list. But in this video, we’re going to look at the five words that are kind of related on a theme, okay? So the theme for these words is about information, and what we do with information when we think about things or when we interpret things. And in fact, interpret is the first word on the list. So let’s start with that one, okay? Interpret, what does it mean? Well, to interpret something means to make sense of something. We could use it, for example, in a situation where you are trying to analyze something you’re reading or hearing in another language, a language that’s not your native language. When you hear that, and you are able to say it in your own language, maybe explain it to a friend or somebody who doesn’t understand, you are interpreting what you hear. But it doesn’t have to be another language, it could be your own. Often we use this word for something that’s complicated or difficult to understand, right? So maybe you have a complicated contract you’re looking at, and maybe it’s so complicated, you need a lawyer to help you understand what’s there. That lawyer is going to interpret it for you, to make sense of it, or analyze it for you, okay? The next word, very different, is assume. To assume something is to think about something without having all of the facts or the information. We often use the word assume when we’ve discovered that we were actually thinking the wrong thing, or we’ve made a mistake about something. So for an example, maybe a friend told you, or excuse me, maybe you thought a friend wasn’t coming to a party you were throwing. But then, actually, she did arrive and she came, okay. You could say in that situation to your friend, hey, I assumed you weren’t coming to my party, but I was so happy that you actually came. I was happy to see you there. To assume something is to think about something, to think a certain way about something, without having all of the facts or the information. It does not necessarily mean you were wrong. You can assume something and find out that you’re correct about it later. But, it’s to think something without having all the of the facts or the information. Okay? So that’s assume. The next one. Perceive. Okay. To perceive something, this one’s a little more general than the other two we’ve seen so far. To perceive something simply means to sense or to feel something, okay? So, we often use it when maybe the information we’re taking in is not really clear, or it’s not something that’s really something you can tell very certainly, but you perceive it when you’re perceiving something small. So for example, maybe a teacher in front of a class can perceive that her students are tired or bored, right? The students aren’t telling the teacher, hey teacher, I’m bored. [LAUGH] Okay, wrap it up. Actually, the teacher is just using the clues from maybe the student’s body language, or maybe the students are yawning or that might be even more clear message that they are bored or tired. When you perceive something, you’re taking in information, you’re trying to understand something just by reading the situation that you see. So that’s perceive. The next one, to react. To react is different than the ones we’ve seen so far because when you react to something, it’s a response. So, when you notice something, when something occurs, and you react, then that means that you respond in a particular way directly to that thing that you just observed or noticed, or that thing that happened to you. We often use this in athletics or sports, when somebody throws you the ball, you’re not gonna just let it hit you, you’re gonna react to it. You’re gonna try to catch it. A reaction, that’s the noun form of this word. This is a verb, and reaction is when you respond to something that happens to you. That direct response is your reaction, okay? So, react is our fourth word. The last one is an example of a word that is spelled differently in American English and British English. Analyse in British English will be spelled with the s here that you see. And in American English, you’ll have it with a z. 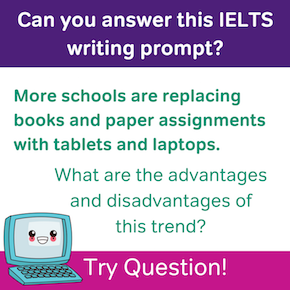 Now, as you know, both spellings are acceptable on the IELTS Exam, but just know which one you’re using and when, because you want to be consistent, especially in the writing section, with the spellings that you use. To analyze something is similar to something we’ve seen before like interpret, okay? But it has a little more specific meaning in that you’re really taking in information and taking in a lot of detailed information and trying to make sense of that information. So we might, for example, in a science class, have to analyze sort of data about something, or analyze some test results that you’re working on in the science class. Or maybe you might say in a film class that you’re taking, you might say something like well I understood the movie much more deeply after we all analyzed it together as a class. To analyze something is to take a really close look at it, to look at it in a detailed way, and to draw conclusions from something after you’ve analyzed it. So, analyze, similar to some of these others, but it really has to do with this detailed interpretation that you’re doing, all right? So those are our five words. Once again, these are all taken from the longer list of words that we have for you. If you click on the link in the description box below, or that link that you see on the screen there, that will take you to a much longer list of these excellent words that you can use on the IELTS exam. Also, you should go and subscribe to our YouTube page and like it. And leave a comment for us. What kind of videos would you like us to do to help you as you’re studying for the IELTS exam? 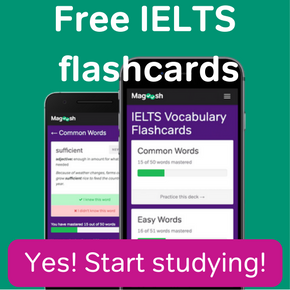 If you want more IELTS vocabulary practice after watching the video, take a look at the remaining words on Magoosh’s IELTS Vocabulary List, or check out The Complete Guide to IELTS Vocabulary on our free IELTS blog.